Great Exhibition of the North is a free, summer-long celebration of the North of England’s pioneering spirit and Toffee are pleased to be a part of it! 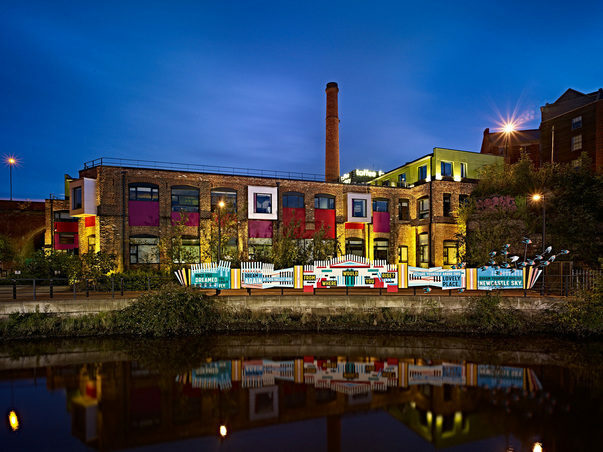 Featuring on the Winged Tales of the North trail; take a journey through the valley to see new artworks, murals and temporary sculptures created by artists, designers and makers from across the area. Follow the trail to Seven Stories who will be hosting a fascinating exhibition of David Almond’s work. Bringing to life Almond’s archive and exploring themes of love, loss and hope though characters real and imagined. Make sure to have a wander through and give us a wave on your way past!